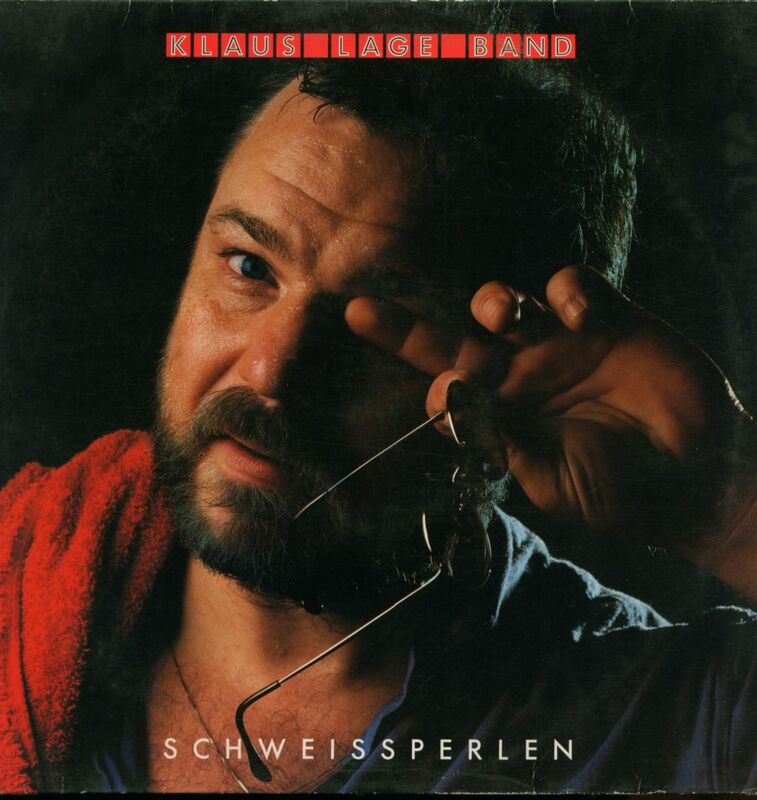 After three solid albums that built his reputation as a German rock musician with a focus on laconic storytelling and a knack for simple, catchy mainstream tunes, Klaus Lage finally broke through with his fourth album, 1984's SCHWEISSPERLEN (Beads of Sweat). Working again with producer Wolf Maahn, but with a different backing band (comprised of keyboarder Göran Walger, drummer Wolf Simon, bassist Martin Engelien, and guitarist Rolf "Rocco" Klein), Lage delivered a set of tunes that showcased his (and, to be fair, his new band's) songwriting strengths as perfectly as his effortless hitmaking abilities. The album's lead single, "1000 und 1 Nacht (Zoom!)" (1000 and 1 Night), became such a massive success that it overshadowed everything else Lage had ever done, and its place on retro compilations and '80s party playlists is secured for all time. The two following singles were almost as big, especially "Monopoli" (Monopoly), and not only was the success of these tracks justified, they were also part of an album that featured many other strong songs, without the uneven material that filled Lage's previous efforts to a certain extent. On most of the songs, Lage manages to tell short stories where the individual bits and pieces are suggested by short lines that work like still photographs: consider "Wieder Zuhaus" (Home Again), the album's opener and its third single, which tells the story of a man who returns to his hometown after a while of absence. He remembers where he had his first kiss (all he remembers is the girl's name and the zipper of her anorak), he hints at why he left the town (an argument with his father: "Der wollte bloß Frieden mit 'n Nachbarn/und ich hatt' das Rumtuscheln satt" -- "He just wanted his peace with the neighbors/and I was tired of the gossiping"), and he also feels how people stare at him from behind several windows ("Die ham' mir nicht verzieh'n" -- "They haven't forgiven me"). All of this never tells the full story of what happened or why, but it creates enough of a tapestry to enable the listener to create a narrative, and it also perfectly captures the feeling of returning home after a long time. Almost all of the songs work like this: there's the socially minded "Monopoli," which tells of how the narrator's parents lose their jobs due to downsizing; there's "1000 and 1 Nacht," in which a longtime friendship suddenly turns into a relationship; and there's "Aber Sonst" (But Otherwise), one of the album's best songs, and one of Lage's outsider portrayals that ultimately lets us know that parts of the person described in the song can be found in each of us. As before, Lage's lyrics are often simple and direct, which has often caused his detractors to regard them as nothing more than rockier Schlager songs, but Lage never resorts to cheap sentimentalism and the ideal world depicted in most Schlager tunes. Even his ballads have an edge to them: the title track is a tale of jealousy where the narrator allows his girlfriend to cheat on him if only she doesn't sweat when she's with anybody else; "Mit Dir" (With You) could have been a love song in terms of its lyrics, but it's interpreted as a slow rock song with heavy guitars, a crawling rhythm, and an aggressive undercurrent to Lage's voice. Even in "Ich Hab Dich Lieb" (I Love You), the narrator is separated from his girlfriend because he's on the road, and he roams the bars and admits that saying "I love you" may not be the most clever thing in the world. SCHWEISSPERLEN is a clear product of the '80s -- the production is slick, the sound is somewhat sterile, and the music itself is mostly in the mainstream pop/rock vein that recalls Huey Lewis and other "hip to be square" acts. The lyrics reference Commodore computers, breakdancing, TV journalist Gerhard Löwenthal, video recorders, and politician Hans-Dietrich Genscher -- the entire album is like a time capsule of Germany in the '80s. Underneath the somewhat dated surface, however, the guitar and keyboard solos show that the band is more than a faceless backing group, and the songs themselves prove to be probably the best Lage's ever performed. This review was written for the All-Music Guide on April 17, 2008.